Fact: The Hubble Telescope is a better photographer than you or I will ever be. Now, it’s going to keep right on showing us all up...at least for the next five years. NASA just added five years onto Hubble’s contract. The move will fund the telescope’s flight until June 30, 2021, at an additional cost of a measly $200 million. The add-on brings the total project cost to just over $2 billion. The James Webb Space Telescope, which is three times Hubble’s size and power, is also set to launch in 2018. 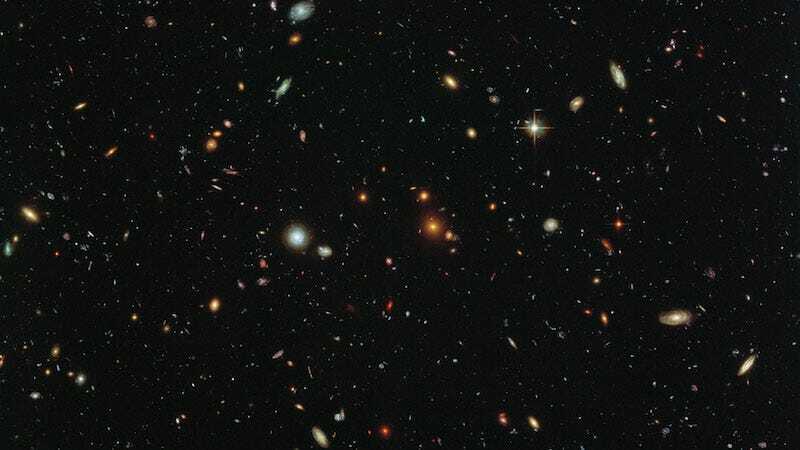 This news means Hubble and Webb will both be beaming back photos for an overlapping period of at least three years, perhaps longer if Hubble gets another extension in five years—and that’s great news. Hubble’s track record has been impressive, but it’s only one telescope in a universe that is big and full of mysteries. There’s more than enough room out there for two.